Children’s Ministry is as challenging as it is rewarding. Like having a child of your own, the process of having a baby is grueling, but once you have the child, nothing in the world could ever take his or her place. Just like becoming a parent, serving in Avalon Kids will grab your heart and never let go. Serving as a Team Member in Avalon Kids comes with great responsibility. It may be one of the greatest responsibilities one can pursue. We are responsible for the kid’s well-being, both physically and spiritually, and that is a responsibility not to be taken lightly. We are constantly asking ourselves, “Are we showing the love of Christ to each and every child that walks into our doors? Are we creating an environment that is engaging and fun so that each child can learn about Jesus on his or her level?” The answer must always be yes. There was a six-year-old little girl that started to attend Avalon Kids. Her mother brought her to church every Sunday, along with her younger sister, faithfully. It wasn’t long after that her father began to join them. Each Sunday, she was greeted by smiling faces and open arms of people that weren’t her biological family, but would one day be her Kingdom family. These individuals were there each Sunday just like this little girl, and they even developed a relationship with not only the young girl, but with her little sister and the parents, too. With every Sunday that passed, the little girl learned more and more about the love of Jesus Christ, not only through expression of song and dance, or even Bible verses and lessons, but through the kindness shown by those that came each Sunday to love her for that hour. It wasn’t three months later that she felt a strong calling by Jesus to accept Him as her Lord and Savior. She was so adamant that she knew Him so closely and wanted everyone to know that He lived in her heart that she wanted to be baptized that very day when the baptismal wasn’t even filled. She would eventually be baptized just a few weeks later on Easter Sunday. Her relationship and walk with Christ continued to grow as she grew. She became more confident in her walk and expressing her faith with support from other volunteers. She started to lead praise and worship, she helped others to pray to receive Christ, and she even helped her own baby sister in her walk with Christ so that she, too, would hear His calling on her life. This child has been influenced by so many volunteers in the Families Ministry, and would undoubtedly not be on this journey nor have the footing she does without the investment these individuals chose to make. I cannot stress the impact you WILL have on a child or teen’s life if you listen this calling on your life right now. God is calling you to move. More like pushing you out of your seat, lifting your hand to grab the Next Step card in the seat pocket in front of you (I just had to say that). I myself started volunteering about five years ago in Avalon Kids. I started off only volunteering every other week, but on the weeks I didn’t volunteer, I found myself missing “my kiddos”. And let me tell you, there was never some miraculous event that happened in any child’s life because I changed a diaper, or because I cleaned a booboo, or even because I danced like a goofy grown up to the songs. But what has happened are lasting memories and bonds that I know in my heart will never be forgotten and building blocks have been laid for a foundation to be built upon as these children grow and mature in their relationship with Christ. I no longer volunteer with children as I have moved on to the cool kids (Avalon Students – aka the youth), but I still have little ones that run up to me filled with excitement shouting “Ms. Dani, Ms. Dani! I know my memory verse!” and they immediately recite it for me. My heart swells with pride and joy, and it’s at that moment I’m reminded why volunteering is so important. Volunteering isn’t rocket science, guys. It’s simply love in action. And sometimes that love in action is simply keeping kids alive and injury free – no joke. But most days it’s doing what is both the most complicated, and yet the simplest expressions of love. It’s a hug, a high five, a coloring sheet, a sticker for doing a good job, gold fish and juice (those folks are the true unsung heroes), changing a dirty diaper, singing alongside kids and teens during praise and worship, playing games, chatting it up with a teenager to see how their week has been, lending a shoulder to cry on when life gets hard, praying with the kids and teens, but most importantly reminding them that they ARE LOVED – by you, by their family, by the church, by their teachers, but never ever more than GOD. You matter. What you do matters. Every Sunday is someone’s first Sunday and quite possibly their first interaction with someone who can show them the Love of Christ. As a parent, we HAVE to be willing to step up and step into this role. We cannot sit idly by and leave it up to someone else. You and I must be a part of these kid’s lives. Not just today, or tomorrow, but every day. So, what’s your next step? Today, you have the opportunity to be a change in someone’s life. Think about that one person who took the time to show you the love of Christ and then be that person to one of our awesome young ones in Avalon Kids! To get connected and take your next step, email brian@avalonchurch.net to get started! For us to get a better idea of what true worship is, there are a few things I think we all need to understand. We were created to be worshipers. It doesn’t matter if we attend church or not. It doesn’t matter if we call ourselves Christians or not. We all worship something. Worship is universal. No matter where you go in the world you will find people worshiping. Even in the darkest corners of the globe where people have never even heard the name of Jesus, people have created false gods or idols, to worship. This is because deep down in our souls, we have a longing and a deep desire to worship. So, the question is not if you are worshiping or not but rather who are what you are worshiping. For us to begin worshiping something we must discover the importance and value it brings to our lives. We have to see something. We have to witness something. Matt Redman says, “worship is not as much about singing as it is about seeing.” Throughout history, people have searched high and low for different objects to worship only to be left feeling empty. This is where the Gospel comes in. This is where grace comes in. When our eyes are opened to the fact that God gave His only son to die, to pay for our sin, then and only then, are we driven to true worship. When our eyes are truly opened to the wonder of the cross something shifts inside us and the things we once thought were most important fall away and Jesus alone becomes the driving force of our lives. What is a whole life response? A whole life response is expressed in the things that we say and the things that we do. We don’t just tell people we love them we need to show them. It’s the same way with God. He doesn’t just want us to sing songs to Him, He wants to see us lay down our life for Him in total surrender. So, worship is singing praises to God but it goes much deeper. Worship by serving. Get involved by volunteering. Get involved in a small group. Serve the community and those in need around the world by serving with Avalon HOPE. Click the link below for more information on how to get involved. Give your whole life to Jesus because Jesus gave His whole life for you! In our Avalon Students (AVS) ministry, we are working to combat this struggle. I believe God has given us an answer to this question, and we are continuously putting it into action. I believe God’s answer is clear and simple. To help our students step into the next season of their lives and allow God and the church to be a part of it, we need to do two things. First, we must help our students know God. Second, we must help them experience God. If during their time in AVS our students learn to know God and how to experience God, then when they step out of this ministry, they will have a faith that is all their own and not based on or decided by anyone else. Once someone truly knows God and has experienced Him, then they are changed in a way that is undeniable. With these two purposes in mind, we have developed two very different but equally important parts of our student ministry. We have Wednesday night services as well as middle school and high school small groups. Wednesday nights focus on knowing God through biblical teaching from the leaders and myself, while also focusing on experiencing God through fellowship with other believers and worshipping God in song. Small groups focus on experiencing and knowing God by connecting with each other through discussions. It is through those discussions that students share real-life struggles and begin to find answers in God’s Word in order to apply it to their lives. We do all of this with the desire that every student in our Avalon Student Ministry will find his or her personal identity in Christ. The only way to know the purpose we were created for is to truly know the One who created us. I believe helping our students know and experience God is how we are able to keep them from dropping out of church and their relationship with God. I see this truth come to life on a weekly basis when students who are struggling in life come to Avalon because they have found a home in our ministry. I see it in the students who make the decision to take the next step in his or her relationship with God through salvation or baptism. I see it in the messages I receive from students saying, “If it weren’t for Avalon Students helping me see that God cared in my darkest moment, I may not be alive.” I see it in the outcast students who find a place to belong. I see it in the student whose questions were always ignored but have now found answers in our ministry. The truth is, every student is looking for his or her identity. If we can help them personally know God and experience Him, then their searching will end. At that moment, instead of dropping out when high school ends, it will only be the next step towards the future and hope they have found in Jesus! Throughout Church history, small groups of people have gathered to discuss scripture and the Gospel of Jesus Christ. From the early home churches started by the apostles, to Southern Baptist Sunday School, small groups have been influential in the development of the believer’s life. At Avalon Church, we continue this institution. Life is meant to be lived together. From the start, we are born with a longing for community with other people. Avalon Small Groups are born of this tradition of growing disciples through intimate study and the God-given need to be in a community. One of our value statements as a church is “We're Better Together.” This applies not only to church services but our lives outside the church walls. From the creation of the Church in Acts 1 to our modern gatherings in 2018, God has created his Church to be a unified family. One of the best ways to find community at Avalon Church is through small groups. There are countless stories of the impact groups have had on our members’ lives. Lives are changed from finding friends, discovering a sense of belonging, and growing spiritually. Growth happens when a group of believers comes together to pray over one another. I have heard countless stories of how God answered those prayers miraculously. This causes people to grow deeper in their relationship with Christ. Now, God does not need a small group of people in order to work in our lives. He chooses to meet us in that realm and uses small groups to connect us as a spiritual family. I was talking with one of our members earlier this week. Her husband had recently been in an accident and was at the hospital awaiting discharge. She described the accident to me. As she went through what she witnessed, she kept going back to something that I found interesting. She said that without her small group and other church members being there to assist in the aftermath of the accident, she does not know how her family would have fared. She credited her church family with the comfort her family felt in such a stressful and scary situation. She said it still surprises her that she is a part of a group of people who genuinely love each other and walk out that love when it matters most. This story captures our vision for Avalon Small Groups. Our desire is for everyone at Avalon to have this same kind of experience. You can find life in community by simply emailing smallgroups@avalonchurch.net with your name, email, and phone number. You can also stop by Next Step Central on Sunday morning, and someone will be there to guide you. True community and life change are available when we walk alongside our church family in Small Groups at Avalon Church. At Avalon Church we want to create a grace culture. We strive to teach and preach the gospel of God’s grace. We believe that salvation is entirely of God’s grace to us through Jesus Christ and his finished work on the cross. Grace is God’s kindness and favor to us. It is unearned, unmerited, and undeserved. We are gospel-rooted, and our vision is bringing people, wherever they are, into a growing relationship with Jesus. Not only do we want to teach God’s grace, we also want to show God’s grace to others. We show grace to others through kindness, respect, attitude, cooperation, and encouragement. If we truly believe in receiving grace from God, then we will express it to others too. How can we show grace or kindness to others? · Show up on time.Get here in time to check in, get coffee, and speak to some friends. Be in your seat when the music starts. That is kind to others and kind to yourself. It allows you to get the entire experience of worship with a gathering of believers. · Stay until the end of the service.This shows respect to people who are making spiritual decisions and lets them know that you are excited about their next steps. · Be friendly.Go out of your way to greet new people and shake their hand. This is everyone’s job, not just the Guest Services Team and the ushers. We want to create a welcoming culture that is warm, friendly, and accepting of others. Many people never receive a kind word all week at home or at work. The world’s culture breeds disrespect, but we can show the love of Jesus by respecting others and loving them by paying attention to them. Be kind. Smile. · Serve.When you show up ready to serve others, you reflect the grace and love of Jesus. Volunteers are the lifeblood of a local congregation. Without great volunteers a church can’t fulfill the mission given to us by Jesus – loving people and bringing them into a growing relationship with Jesus. God designed the church to be a living, growing body not an organization or club. That is why the Bible employs metaphors like a body, a flock, and a family to describe the church. Volunteering has many benefits to you personally as well. It allows us to fulfill Jesus’ command to serve. It connects us and makes us feel like a part of a team. It helps us develop deep relationships. It fulfills us and gives an avenue to fulfill our purpose. Treat your volunteer ministry as a priority. Showing up on time for your pre-service meeting is essential. This allows you to pray with your team and get ready to serve others. · Assist people who are new.Don’t just tell them where the children’s area is, walk with them. It is the job of every member. Your attitude should always be positive and friendly. Answer their questions. If you don’t know the answer take them to your team leader or a staff member. · Celebrate.When you celebrate baptism, salvation, and other spiritual decisions, you let people know that you care. Be an encourager of people! Participate in worship. Take advantage of the children’s and student’s ministries. This helps your children celebrate Jesus and creates an atmosphere of worship without distraction. · See the big picture.The ultimate win happens when we serve and love others. A great program is good, but it is not the vital win. Always be prepared to help outside of your area of ministry. Remember that the vision is for the whole church not just your particular area of ministry. This helps us grow in a culture of grace. Together we will bring people, wherever they are, into a growing relationship with Jesus. Avalon Church is the perfect place for imperfect people.It is not just a slogan. It is who we are! Sometimes you just need a little pick-me-up. Coffee does it for me in the mornings. Confession: I am a bit of a coffee snob. Every morning I drink a pot of freshly ground French-Pressed coffee of a particular brand that shall not be named. Black. Steaming. Delicious. Strong as steel. High octane. I love it. In fact, I often think about it at night as I am drifting off to sleep. I can’t wait to wake up and sip a bit of the nectar of the gods. For all of those who drink the pricey froufrou drinks from a drive-through each morning, you are not drinking coffee. You are starting your day with a high calorie milkshake. But whether you drink energy drinks, caffeinated milkshakes, peppy sodas, or coffee (as God intended), we all need an energy boost when we get tired. So how do you find the energy to make it through a busy week? Here are four things I do regularly to create energy each day. 1. I begin my day with faith. Every morning I read some faith statements that bring me energy. I remind myself that I can do all things through Christ who gives me strength. I say to myself, “No barrier is too great to derail God’s purpose and plan for me today.” I recall that I have every resource I need through Christ. I state by faith that I have the energy, passion, and strength through Christ to live for his plan today. I remind myself that God loves me and cares for every detail in my life. Reminding myself that I live through God’s strength rather than my own gives me energy and creates momentum for my day. I have learned that worshipping God at the beginning of my day gives me strength and passion. Reading scripture and praying, even if just for a few minutes, helps me. It may sound counterintuitive to spend even a few minutes doing that when you are tired, but I have found that it strengthens me even when I am tired and busy. I have also found that going to church greatly energizes me. You are probably thinking that going to church is my job, but that isn’t my primary motivation. Corporate worship invigorates me and helps me get through the week. The sense of community I get by coming together with other believers and experiencing the presence and power of God is one of the most encouraging, life-giving, and energizing things I can do. People often share with me that before they came to church they were tired, frustrated, and discouraged. But after they experienced the power of Christian community, worship, and the teaching of God’s Word, they felt better and were glad that they came to church. I believe in the power of a gathering of believers when we focus on Jesus. 3. I strive to create margin in my schedule. We are all busy. Sometimes we are busier than others. There are certainly times that we don’t have total control over our schedule. There are many things I can’t control as a pastor. Sunday comes every week. I have to be ready. I have no control over great portions of my schedule. People get sick, die, get married, and have emergencies without ever consulting my schedule. I have meetings to lead and work that requires my attention every week. I have learned, however, that there are many things I can control. I control much of what I say “yes” to and what I say “no” to. I can create margin by setting priorities. I control what I eat. A healthier diet gives me more energy. I control when I go to bed and when I get out of bed. I control whether or not I exercise. I have found that much of my energy comes from simple decisions like what I eat, when I sleep, and how much I exercise. There are certain habits and activities that I say “no” to simply because I need margin in my life. Often, we are exhausted because we have not learned to say “no” to some things. 4. I remind myself to rest in God’s grace. Worry drains the energy and life out of you. It uses a lot of energy. We only have so much energy. I can choose not to waste my limited energy by trusting in God’s grace and choosing to trust him rather than worry. You must practice not worrying. It comes by faith. But you can get good at giving God your worries when you remember that he cares for you. The more you rest in his grace, the more margin you create, and the more energy you have. You can’t control everything in your life, but you can practice these four habits to create energy for your day. My prayer for you is that you find the energy you need through Jesus! Getting brutally honest with yourself is the first step to recovery and restoration of any kind. Until David got honest, he could not get better. The same is true with you and your finances. Take a long, hard look in the mirror and get brutally honest. That is really hard to do. It is a lot easier to make excuses and blame someone or something else. But until you get totally honest about your debt, your spending habits, and your income, you will never prosper. This principle applies to people from every economic level. It really does not matter how much money you make if you don’t manage it well. Spending more than you make is a path that only has one end – disaster. Did you ever go to a carnival or a fair that had one of those funny mirrors that distorts how you look? I love standing in front of the one that makes you look thin and tall. I like to imagine myself being seven feet tall and playing in the NBA, dunking the basketball, blocking shots, bumping chests with my teammates, and blowing kisses to thousands of adoring fans. While fun to imagine, it is completely unrealistic. I would never blow kisses. Isn’t that the way we like to look at ourselves? With distorted reality. It is hard to look at ourselves in the mirror of God’s Word, but that is exactly what is necessary. We have to know our own heart before we can change. We must take an honest look at our financial picture before we can improve it. You must decide about how you manage your money. Do you want margin, less stress, and less worry? Do you want to plan for retirement? Do you want the financial peace that comes from managing your debt well and having enough money to pay your bills? Do you want to live with God’s blessings or if you want to live with stress and pressure all your life? Do you want to be able to give as God leads you? You must decide whether or not you are going to try to impress people you don’t like by buying things you don’t need with money you don’t have. Good luck with that. The better way is to get honest, get a plan, and determine to find contentment with what you have until you can afford more. Decide to get out of debt. You can do it. You can have peace. You can have true prosperity. But you can’t have it if you live like most Americans – spend more than you make, live on credit cards, rack up bad debt, make minimum payments, live a lie, and have absolutely no clue where your money goes. Before I can live a blessed life financially, I have to get to know my own heart and be honest with myself about what I want in life and where those desires come from. Until you take time to think through your income, debt, and spending habits, you will not be able to establish a strong plan. Do what David did. Pray. Ask God to help you. Become brutally honest with yourself. That is the first step to obtaining wisdom that permeates your innermost desires, thoughts, and plans. It is the first step to change. It is the first step to success. If you watch much news or if you are on social media, then you are aware of the venom, vitriol, and disrespect that permeates our daily discourse. It hardly seems possible to have a civil conversation with someone who has an opinion that differs from yours. Rather than discuss ideas and defend our philosophical positions with intellectual acuity and dignity, we allow our conversations to devolve into silly epithets and grade-school-name-calling. It actually makes my head hurt. I have nearly sworn off social media interaction and watching the news. To prove my point, just because I included President Trump’s name in the title of this article, many readers reacted either positively or negatively, with disgust or ecstatic interest. We need to learn how to be respectful, even with those with whom we disagree. I truly believe respect helps a person be successful in life. Particularly in an age where there is such division and strife over politics that people can’t seem to disagree without being disagreeable. Respect is more important than ever now. Jesus Christ modeled and taught us how to respect and be respected. It is one of those non-negotiable attributes that Christians must demonstrate. How do you develop that kind of respect? The Bible refers to this as reverent fear for God. One must respect and revere God and keep Him at the center of one’s life. You will not always understand everything about God. He is far too vast for our finite minds to comprehend. You can know Him though. He loves you. Always approach Him with reverent fear. We call this worship. 2. Demonstrate respect even if you disagree. You will not always agree with the authority in your life. Sometimes those in authority are wrong. It is important, however, to respect those with whom you disagree. There is far too much venom in our culture today. Be a part of the solution not a part of the problem. Don’t go through life with a small view of yourself or the life God has given you. You are unique and have a unique purpose in life. Believe in the grand plan that God has for you. You are a leader. Leaders accomplish their mission with resolve. Do not operate in ego or pride. Admit it when you fail. Be transparent with your success and your mistakes. Learn your strengths and weaknesses. Work on your strengths most. Surround yourself with people who are better and smarter than you and don’t be afraid to give away praise and authority along with responsibility. 4. Respect others without fearing them. Fear God and only God. Respect all men. Cower before none. Stand in awe of God and his creation. Admire others and congratulate them for the good things in their life but do not stand in awe of them. They are only human, and the fear of man leads to failure. You are equally as valuable as they. Your attitude will separate you from the crowd; your work ethic, boldness, and respect will make a difference. Lead when others tremble. Do not be afraid to take risks. 5. Respect begins at home. Men, respect your wife, cherish her, and love her. Seek to understand her. Remember, the things that you don’t understand are what make her mysterious and special. You can understand other men but will probably scratch your head when it comes to understanding women. On the other hand, you will get to make love to your wife and become one with her. That is worth not understanding a few things! Be kind to her. Do not belittle or berate her. God has charged the man with the responsibility of sanctifying his wife, so respect her. Women, respect your husband and love him. It is one of the great commands that God gives to wives. Although scripture certainly implies that women are to love their husbands, the far more explicit command for wives is that they are to respect their husbands. God knows that men feel loved through respect. In a culture that sees marriage as a place of self-fulfillment, God shows us that true fulfillment in marriage comes through self-sacrifice. The foundation of this kind of selfless expression is respect. What do you think you need to do to show more respect and reflect the love of Jesus in our current political climate? What needs to change in your daily conversations or in your social media interactions? Respect is a big deal and we need a lot more of it. You may not be able to change the entire national environment, but you can begin changing your environment today. Now that school has started again, the insanity of our schedules ramps up to epic proportions. School schedules. Homework. Sports. Activities. Your second job as a chauffeur. Church. Running a household. Oh, and that little thing called your job. The relief of getting your kids back to school and out of the house is quickly replaced with unavoidable demands. We are all busy. Some more than others, but for most people life seems like a blur. James, the half-brother of Jesus, addressed this issue nearly 2000 years ago when he asked the probing question, “What is your life? For you are a mist that appears for a little time and then vanishes.” (James 4:14) Even before cell phones, the Internet, and modern transportation people struggled with margin and schedules. Life is brief. Life is busy. Life is a blur. God wants us to make the most of our fleeting time. When you consider this reality, you can either cram as much as possible into your life and create stress, chaos, fatigue, and frustration, or you can do what James suggested and live on purpose. As a young man I bought into the belief that managing my time meant that I had to sleep less, get better organized, and work harder to please my taskmaster, the calendar. I thought that was the only way to squeeze every drop out of life. But the calendar lied. He deceived me while he slowly choked out my joy. He kept telling me that more is more. It is only when I discovered that less is morethat I began to recover the joy and actually get more out of life and accomplish the things that matter most. You are too busy not to spend time with God every day. I think this has to be the first and most important commitment. Attend church every week. Read the Bible and pray each day even if it is just for a short time. This will keep you centered and keep you from running off the rails. That seems counterintuitive to the person with a crammed schedule, but it is necessary for the busy employee, the busy parent, and the busy entrepreneur. Spending time with God, whether in the morning, at lunchtime, or in the evening, is critical to your joy and success. It helps you live by grace rather than guilt. One of the great challenges for busy people is how to find time to fit it all in. Being organized helps, but the key to finding margin is not finding a way to fit in more stuff but learning how to eliminate stuff. This is where learning to say no is critical. You must determine what is most important in your life and schedule that first. Many busy people want to spend time with God, go to church, serve, participate in a small group, and spend quality time with their family. They just haven’t learned to say no to things that keep them from doing it. Your peace and joy come from what you say “no” to as much as what you say “yes” to. Committing to simplify your schedule creates the opportunity to live by a purpose. It is OK to say no. In fact, it is necessary to live the kind of life that matters. Let’s be honest, your children need margin just as much as you do. Let them have time to be a kid. Not every activity is necessary or helpful. Too much business can be harmful to their development. You must determine what is essential and pursue that wholeheartedly. The commitments you make must be meaningful, simple, and doable. I have often made the mistake of setting a goal or planning a schedule that was completely unreasonable. You must bring an intense focus to your planning. Decide what is most important and do that first. Everything else can wait. Most people begin with the schedule first. They do not take time to ask hard questions or decide what is indispensable. Until you put God at the center of your day, commit to the essential, and learn the art of saying “no,” you will fall victim to your schedule. Once you have made those critical decisions then you can approach the calendar with confidence and make it serve you rather than you serve it. You don’t have to feel overwhelmed. Jesus said that his yoke is easy, and his burden is light. Living by God’s grace empowers even the busiest person to create margin and live joyfully. Obviously, some things are essential. Your children must go to school, study, and live life. Make sure that you put the most important things in your schedule. Everything else can wait. People got saved, baptized, and joined the church through the Next Step Class. We have had some fun in our Avalon Church Goes 90’s summer theme. Because of your faithfulness to give we have sponsored a children’s home in South Africa. We have been able to help Neil and Bonnie Gardner meet their financial commitments to go to Indonesia for ten months to help missionary families by teaching their children. This empowers the missionaries to reach unreached people with the gospel and keep their children safe. Pray for them as they leave on August 7th. We have set up our monthly outreach/evangelistic mailings. The first one goes out this week. The Student Ministry had a great Beach Retreat. Several students got saved and we will baptize them on August 12th. We have planned a fantastic outreach for August 11th called Kids Blitz. Thank God for all He has done through us this summer! You can see how our value statements are being lived out at Avalon: we are better together; your next step is your most important step; inviting is evangelism; generous people are happy people; participation is membership; and we embrace the mess. Now it is time to get back into our regular service schedule – 9:30 and 11:15. I want to encourage you to show up and serve, be on time, have a good attitude, invite others to church, and be excited to share the love of Jesus this Sunday. On August 5th I will begin a new series entitled Grow Strong: Strengthen Your Faith by Reading the Bible. This series will come from Psalm 119. I believe it will be incredibly helpful and encouraging to you. I encourage you to go to a small group. I have written a companion book for this series that will help you read the Bible with understanding, grow your trust in God’s Word, and grow stronger in your faith. I love you and can’t wait to see you on Sunday. Enjoy a Bowl of Ice Cream Today! As we near the time of year that school starts again (that roar you hear is parents of school-aged children celebrating), we need to look for ways to celebrate. Today, July 23rd, is National Vanilla Ice Cream Day. So, go ahead. Grab a bowl or a cone of delicious, creamy delight. Rub it on your lips if you like. No judging here. And if vanilla is too plain for you, then dress it up with chocolate, whipped cream, nuts, bananas, and sprinkles. Just don’t add a cherry on top because you are on a diet! Difficult projects are, well, difficult. No surprise there. But how we manage a difficult project often determines how successfully we complete it. 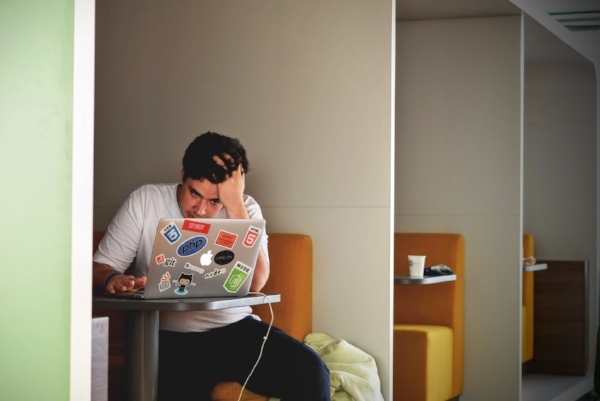 Research papers, big reports, marathons, DIY projects, writing a book, or starting a business all have the same common denominator – they are difficult. They require determination, planning, sweat equity, and did I mention determination? If you have a big, difficult project, here are 5 tips that will help you complete it on time. 1. “See” your goal regularly. Written goals get accomplished, but only if they are seen regularly. You must have a way to remind yourself of your goal. For some, this means displaying it in your workspace, so you read it every day. For others, this means reading your goals every morning before you start your day because you need to hear your goals read aloud. The point is you need to remind yourself daily of your goals because interruptions happen every day. 2. Build a team around you. You do not have to have employees working for you to build a team. It could be as simple as sharing your vision with your spouse, so he or she can encourage you. A team includes people who can encourage, direct, and advise you as you march toward your goal. 3. Eliminate the negative. You will have lots of people who will tell you that you can’t do whatever it is that you want to do. They will tell you it is unreasonable, too expensive, or too hard. Do not listen to them. Find your encouragement. It could come from a book, a podcast, a blog, a picture, a story, the Bible, or a person. 4. Celebrate break through moments. Celebrating small milestones will encourage you and help you feel like you are making progress toward your goal. Learn to enjoy the small wins so you will achieve the big win. For example, if your goal is to run a marathon, then celebrate with friends and family when you run your first 15-mile training run. It helps condition your mind to remember that you can finish the race when you face 26.2 miles on the big race day. 5. Remove distractions. No matter what your difficult project is you, will face distractions. Distractions rob you of your time and will derail your progress. Assess your environment. Eliminate the unnecessary distractions. No one can remove all distractions, but you can remove the ones that have the most potential to distract you and keep you from your goal. For example, if you want to write you must turn off your email, Twitter, and Facebook so you won’t be tempted to turn your attention off your project. I would love to hear your thoughts. What have you found helps you finish difficult projects on time and on budget? · Simplifying. Maybe the reason you are stressed is you are simply doing too much! Learn to say no. Parents of young children often feel guilty and overschedule their children’s activities. Less is often more. Be OK with simplifying your schedule. Determine what is most important and do those things first. That is a big component of time management. · Praying your goals. I believe you will never accomplish your goals if you don’t write them down. But if you are like I am, you write them down and then forget where you placed them. I have found it helpful to write my goals into prayers and pray them every day. That keeps me aware of them and makes me dependent on God’s help. · Planning tomorrow today. This may sound like a lot of work, but it is actually very simple. Before you end your day write down what you plan to accomplish the next day. Keep the list short. I like to put things on my list that I feel are important but that I do every day, like read the Bible, pray, and work out. This process works best when you also have deadlines in mind for projects. I find it interesting that sharpening is required for effective work. If you want to get good work done, then you must have a good plan for rest, exercise, and healthy eating. Also, I believe you must learn how to harness technology. There are many wonderful apps that can help you be more organized. Use technology but do not get consumed by it. I have found that it is easy to waste a lot of time if I try to use too many “time saving” apps. Find what works best and keep it simple. Hard work is important but smart work is even more important. Too many times we start with work when we should start with planning and sharpening. Following these simple steps will help you become more productive and will help you manage your schedule rather than your schedule managing you. There is an immutable truth about success. If you succeed, you will be criticized. Succeed in family life and there will be those who pick you apart and cut you down. They will look closely for faults. Succeed in business or ministry and people who don’t know you will hammer you and say things about you that they would never say to your face. Wherever you find success, there you will find critics waiting to tear you down. It is a sinful condition of human nature based on envy and jealousy. But if you want success, then you must prepare for criticism. No one likes to be criticized. Some people handle it well and others do not. You can deal with criticism by becoming bitter, angry, defensive, and withdrawn. You could be too sensitive and let it hurt you and lead you into discouragement or depression. Or you could see criticism for what it is, keep a good perspective, learn from constructive criticism, and ignore invalid criticism. Here are a few ways to handle criticism. 1. Give yourself permission to succeed. My dad used to tell me that if people were kicking me in the tail it meant that I was out in front. If you want to avoid all criticism, then never lead and never do anything. In fact, just talk about how you would do it differently and criticize those who are actually leading and taking risks. Criticism goes with the territory of leadership and success. You have to believe in the vision you have and learn to ignore the critics. Give yourself permission to succeed. If you don’t believe in your vision no one will. 2. Give yourself permission to do it differently. Successful leaders - be they pastors, business professionals, politicians, or whomever - are trailblazers. You have to allow yourself to break tradition and do things differently. That is sometimes hard to do. I know when I started Avalon Church, I often felt guilty about the way we did things. It was completely different from the traditional styles of ministry that I had always done. It was also what God had called me to do and is a huge reason for the growth of our church. I had to decide whether I wanted to please God or man. Thankfully I chose to follow the leadership of the Holy Spirit. It was still difficult for me to give myself permission to do things differently because I was criticized. 3. Don’t feel guilty about success. Often people criticize because of envy. That is not always the case, but it is root cause of much criticism. Some will criticize without having all the facts. Don’t let your success be a stumbling block in your life. If you become filled with pride over your success that is sinful. On the other hand, don’t apologize for being successful. Thank God and give him the glory. 4. Realize that it is ok if not everyone agrees. Why some people believe that everyone has to be exactly the same in every little thing baffles me. I am not talking about major things, like what you believe about Jesus, but minor things like leadership styles, family traditions, business practices, or personal habits. God is wonderfully creative and uses many unique things for his glory. If he created over 300,000 species of beetles, then why should it surprise us that he uses churches, families, businesses, and individuals with differing styles? Don’t let it bother you if not everyone agrees with you or if people are jealous or envious of your success. Keep your eyes on Jesus Christ and worry about pleasing him! Do you ever feel like there are not enough hours in the day to get everything done? Silly question. If you do not take control of your schedule, then your schedule will control you. This kind of living inevitably leads to more stress, a neglected family life, poor health, and ineffective work. It could be that you are a victim of disorganization or perhaps you like to feel needed and important, so you do more than you should. But like the apostles discovered in the book of Acts, an out of control schedule leads to a feeble and immobilized mission. The same is true with your job and family. Here are a few principles that will help you get control of your schedule and be more effective in work and family life. In the book of Acts the apostles prioritized prayer, studying the Word of God, and preaching. They realized that they could not bear the demands of the ministry alone. There were some things that mattered more than others. You must set priorities, or you will not get the most important things done. There are a few things that only you can do so focus on those things and give everything else away. If you fail to prioritize then you will become a slave to the demands of your relentless schedule. You simply can’t do everything. It is insane to think that you can keep on adding to your schedule without ever eliminating anything. If you are going to exercise, you have to prioritize it in your schedule by adding a time and a plan. You also have to eliminate something so that exercise time can take its place. Don’t be deceived into thinking that you can keep on adding without ever simplifying as well. That is not a sustainable plan. You must learn the power of no so you can experience the joy of yes. By doing less you can accomplish more. Focus on your strengths so you can do what you have been called to do. Do not rob your family or work of your energy because you have failed to prioritize. By doing fewer things you can accomplish more. Your family will thank you for it and you will be healthier as well. Once you have decided what to simplify, what to keep, and what to get rid of, you do not need to feel guilty about your choices. You have made a wise choice. You have chosen to say “no” to some things so you can say “yes” to more important things. You can’t do everything, so do not feel guilty about what God has called you to do. Not everybody will agree with your choices. That is OK. My dad used to tell me that if somebody was kicking me in the tail it meant that I was in front, and they were behind me. A schedule that is so hectic that you don’t have time to invest in yourself or your family is a schedule that will eventually destroy you. Invest in rest. Invest in exercise. Invest in worship and serving. Invest in your family. Invest in learning. These investments pay immeasurable dividends. Unless you learn to invest in yourself, your health, your family, your relationships, your mental health, and your relationship with God will suffer. Take some time to examine your schedule. Is it serving you or are you serving it? The answer to that question determines your future! In the Creation Story, God gave us an important principle for successful living. He wants us to learn to rest in Him. Because of His grace, we work fromrest, not forrest. God created the universe and then rested on the 7thday. It is not that God gets tired but that he modeled for us a very important principle of trusting him. In fact, He even put in the 10 Commandments that we should take a Sabbath day. I often say that you can get more done in 6 days than in 7 when you follow God’s plan. Trusting in Him is the only way to true rest and rejuvenation. It is a matter of faith. This principle of giving God first place is found throughout Scripture. God wants to be first in our relationships, first in our time, and first in our finances. Without putting God first in these areas, we become guilty of idolatry and fail to experience the kind of spiritual restoration that each of us so desperately needs. It is easy to get out of the habits that help us during the summer. If you do not practice resting in Him, then you will take vacation, but you will not truly rest. This rest is tied to worshipping and trusting God. It is easy to get out of the habits that help us during the summer. Your schedule is different. Your routines are different. As such, it is easy to stop doing the things that you really need to do. If we stop our helpful habits, we harm ourselves and fail to get the rest and rejuvenation we really need. This summer I want to challenge you to find real rest. Stay faithful to the thing you need most – worshipping God. How do we do this? 1. Vacation but don’t vacate. Take a vacation but do not go on vacation from God. When you are in town stay faithful to come to church and worship. It is often easy to lie in bed and skip this important part of your Christian life. Don’t allow your time away to become a bad habit of skipping church. 2. Worship without walking away. Make sure that you take the needed break that your job allows, but also, determine that you will continue serving during the summer. When you are away, find someone to replace you in your ministry position at church. Don’t let that fall on someone else. I am not suggesting that you need to skip your vacation to work in Guest Services or Avalon Kids, but I am saying that you need to serve during the summer when you are not on vacation. We certainly need you, but to be honest, you need it more. It is vital that you stay connected to your area of service and to the people in your small group and ministry team. 3. Maintain your spiritual disciplines. Stay faithful to read the bible, pray, and give. Take time on your vacation to say thanks. I think it is incredibly powerful when you are at the beach, the mountains, looking at the stars, or spending time with family and friends to spend some time just being thankful to God. When you are in the “non-working mode” is a great time to reflect and remember how good God is and what things are the most important in life. Also determine to be faithful in your giving. This is an incredible act of worship. You can automate your giving here. This helps you stay connected to God’s blessings and helps us maintain the ministry of Avalon Church even while you are away. I hope you have the most restful summer ever and come back fired up for Jesus! Mid-Year Checkup: Are You Still Reading the Bible? Many Christians start their year with a goal of reading the Bible regularly. They start out well, but before you know it, their schedule gets the best of them and that plan slowly falls by the wayside. I want to encourage you to take a spiritual checkup. If you have become inconsistent in reading the Bible, then make a recommitment today! It is one of the most important habits you can develop as a Christian. Many people become discouraged because they don’t seem to understand the Bible. One of the big reasons is because they start with a translation of the Bible that uses outdated language. When the Bible was originally written, it was written in the common language of the people. The reason so many translations are available today is because language changes over time. A more modern, easier to understand translation enables you to understand what God is saying to you. Don’t be intimidated by the many choices. They all have the same meaning. The translation that I recommend for devotional reading is the New Living Translation. There are many other good translations that will help you understand what you read. Get in the right frame of mind. Read slowly and think about what you read. Don’t try to race through the Bible. Make sure to read and meditate on what you have read by asking yourself questions like the following:What is God saying to me? What do I need to change in my life? What do I need to believe? What sins do I need to forsake? How can I see Jesus in what I read? What does this say to me about God’s grace? This helps you to think about what you read. Choosing a time is very important for consistency in reading the Bible. You have a time to go to work, a time to go to church, a time to pay your bills and you need a time to read the Bible. I find it helpful to read in the morning before everything gets started with my day. If I do not read in the morning, I often get too busy during the day to read. If you are not a morning person, read during your lunch break, listen to the Bible on your way to work, or before you go to bed. The important thing is to choose a time and stick with it. Make sure you are reasonable when selecting how much time to read the Bible. If you have never read the Bible and you work or go to school, you most likely will not follow through with a goal of an hour a day. But you can read fifteen minutes a day. If you read just fifteen minutes a day you can read the entire Bible in a little more than a year. It is important to find a quiet place to read where you will not be disturbed. It could be in your living room or kitchen before everyone else gets up. It could be on your front porch in the morning or evening. It could be in your bedroom, out in the yard, or any other place where you can find fifteen minutes of solitude. If you try, you can find a place that will allow a few minutes of peace and quiet with God each day. One of the most helpful tools I have found is the Bible App, also known as You Version. You can download it on your phone or on your computer. There are many different plans available in many different translations. The good news is that it is absolutely free! You can go to www.bible.com or download it from the App Store. Get started or re-started today. It will strengthen your faith and lift your spirits. Most of all, it will help you to focus on Jesus every day. This summer Avalon Church will go back in time to the 90’s. Boo-ya! Talk to the hand! Seriously, our services will be more fun than you are allowed to have in church. Summer is one of the busiest times of the year for most people. During really busy times it is easy forget some of the important things. Three things Kim and I consider very important are honoring God with our finances, attending church, and serving.If you commit to these three things, then I believe that you have a great summer. I certainly hope you get to spend some time away on vacation and get spiritually, mentally, emotionally, and physically renewed. But make sure that the time you spend disconnecting serves you by making you more connected to Jesus. Stay faithful while you are in town this summer. One way to stay connected even when you are out of town is by automating your giving. The things we automate in our lives get done. If you want to save for your kid’s college education, you make it automatic. If you want to save for retirement, you automate it through your employer. If you want to honor God in your giving, you can automate that too. By automating your giving, you help Avalon Church maintain a strong commitment to the mission of God even when you are away during summer vacation. Here’s why it is important. 1. Automation communicates prioritization. When you make something automatic, you remove emotion from the decision. You do it because it’s important and because you truly want to, not just because you feel like it. By setting up your giving automatically, you make sure that your giving is consistent and faithful. 2. Automation trumps determination. Determination is good, but even the most determined person can be forgetful. Let’s face it, when we are out of town we are really busy and distracted. But by making your giving automatic, you make sure that you stay involved in the mission of God for your life. It is great, and it is convenient! Automation beats determination every time. You can set up your giving automatically by going to this link: https://avalonchurch.churchcenter.com/giving.It is simple and easy and takes all the hassle out of giving. Or if you like the convenience of our text to give option, you can text this number (84321) and set up automated giving as well. I hope you have a great summer and get fired up for Jesus!